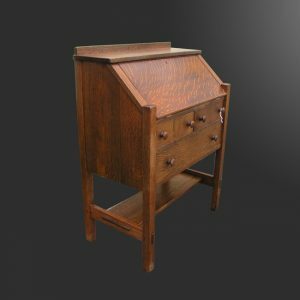 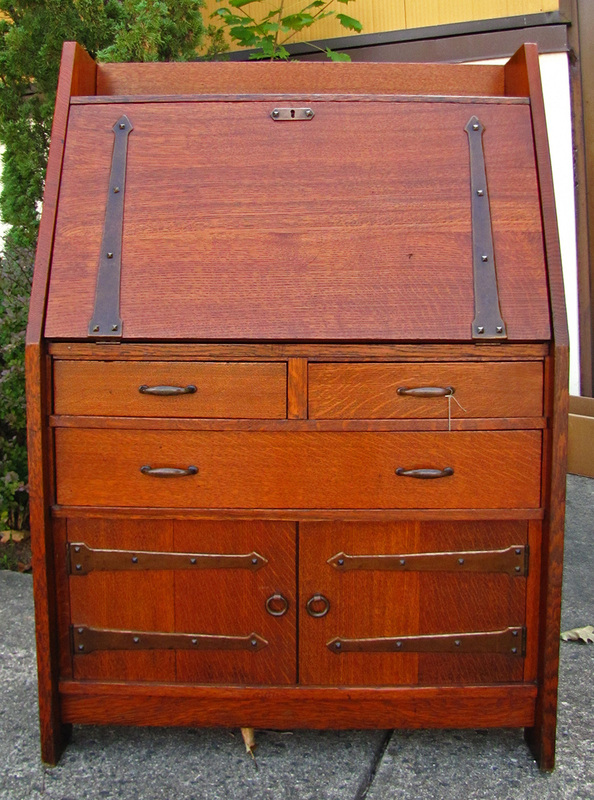 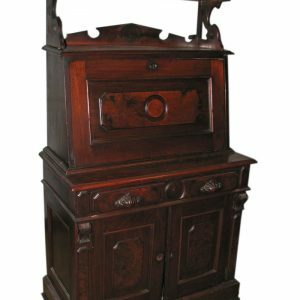 This is a superb and early antique Gustav Stickley drop front desk from the early 1900’s Mission and Arts & Crafts period in very good condition. 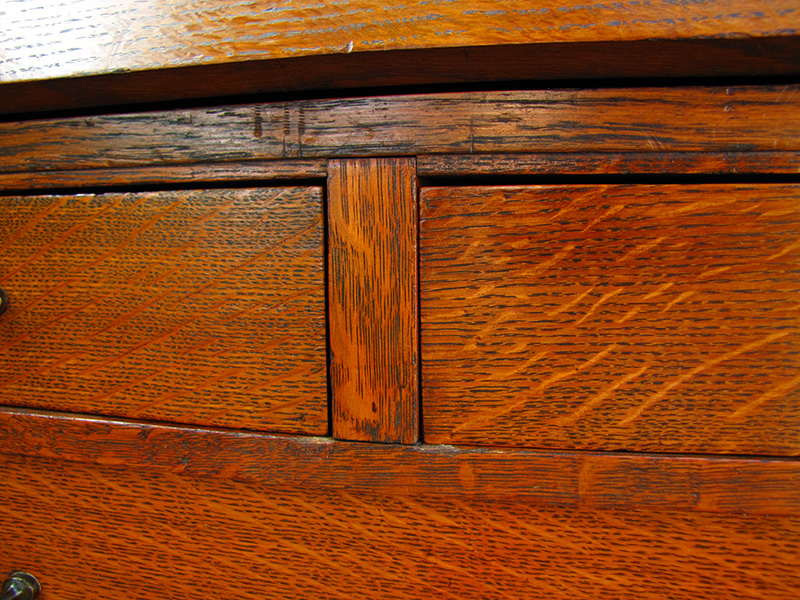 The piece is made of excellent quarter sawn oak with a good original finish with great color. 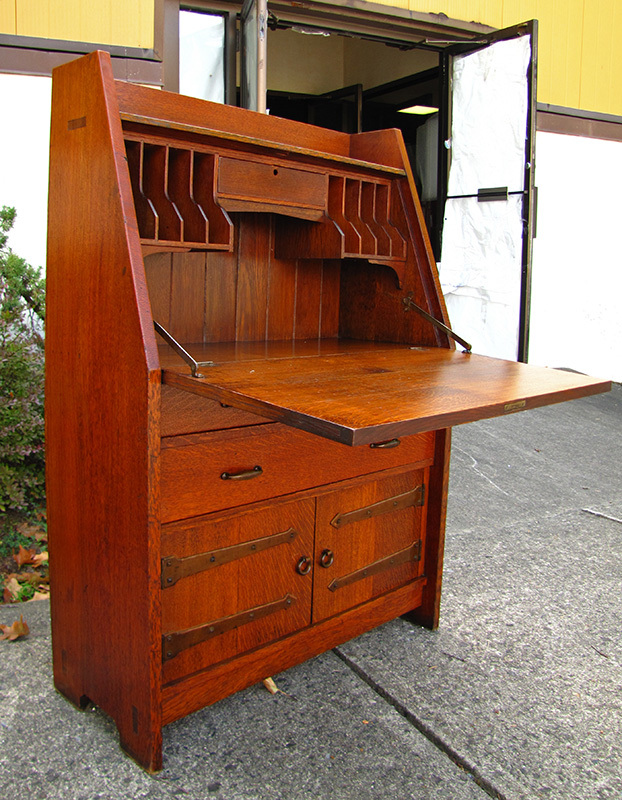 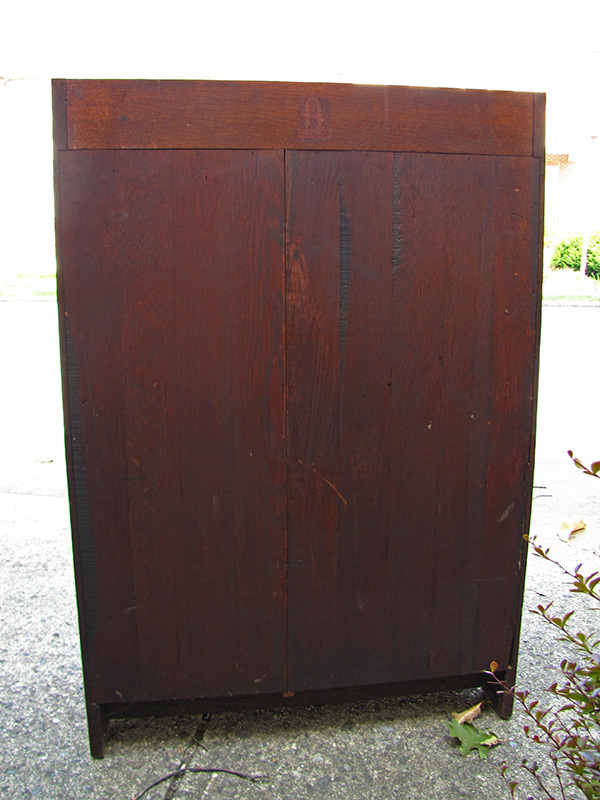 The desk has very desirable form with plank sides, a gallery at the top, and cabinet doors at the bottom. 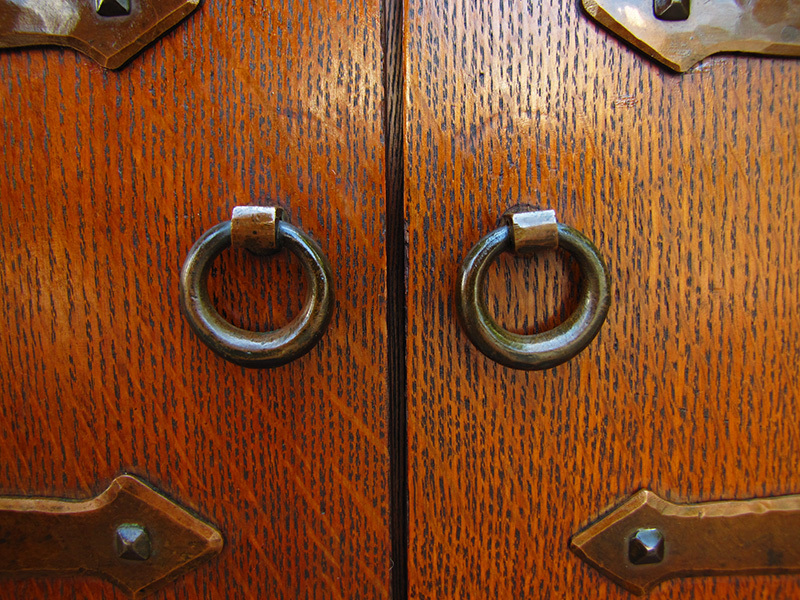 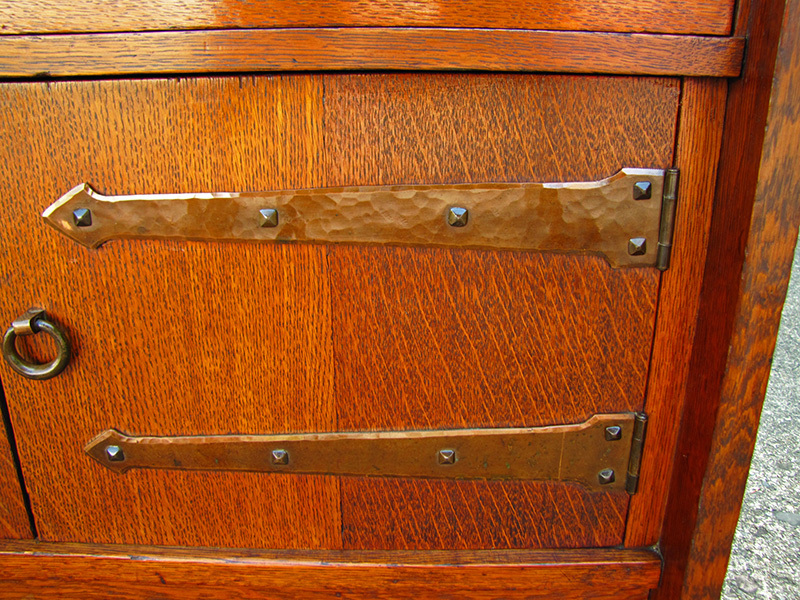 There is all original hand hammered copper hardware, including strap hinges with pyramid screws. 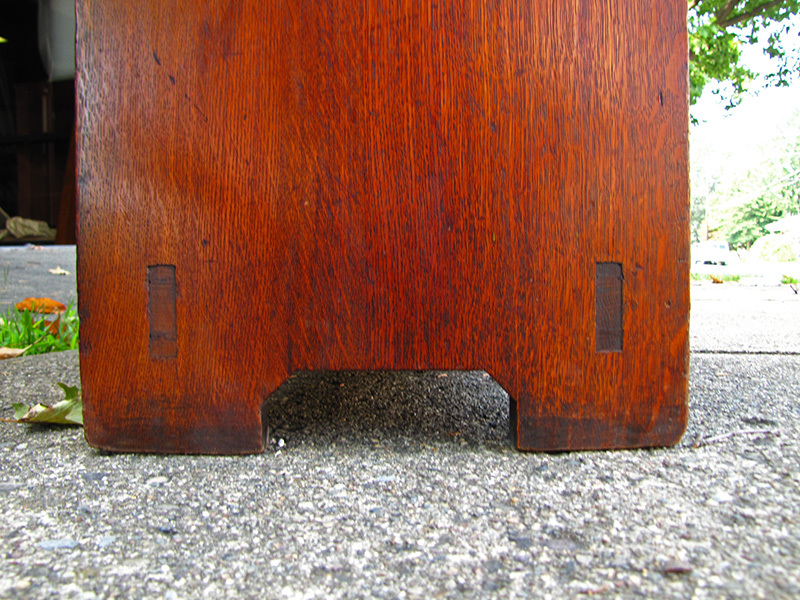 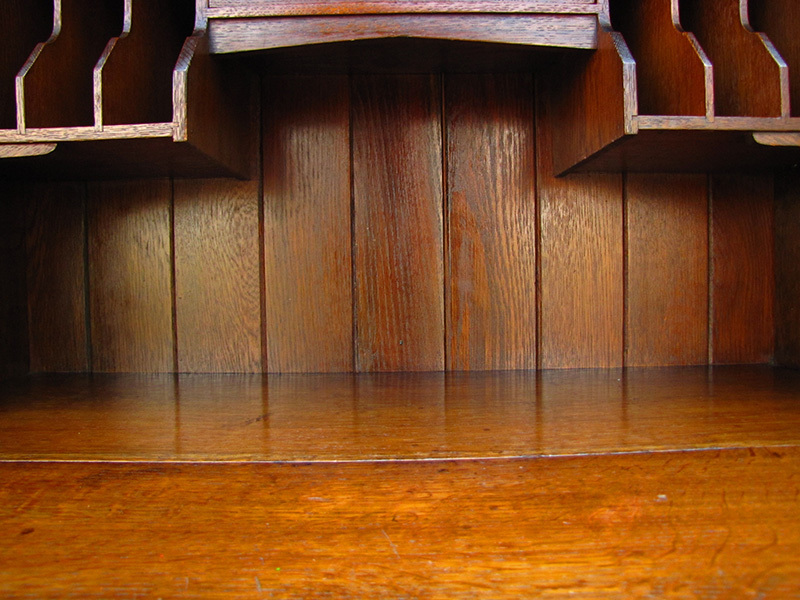 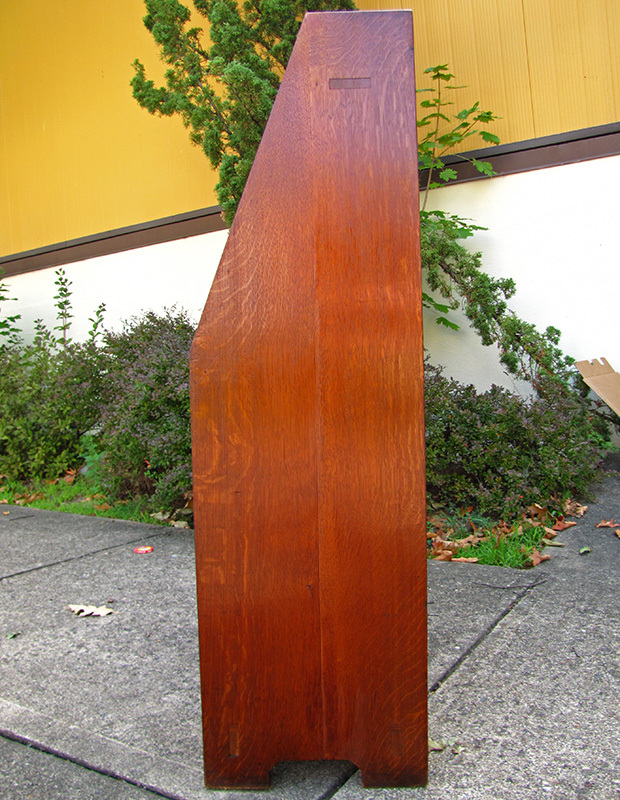 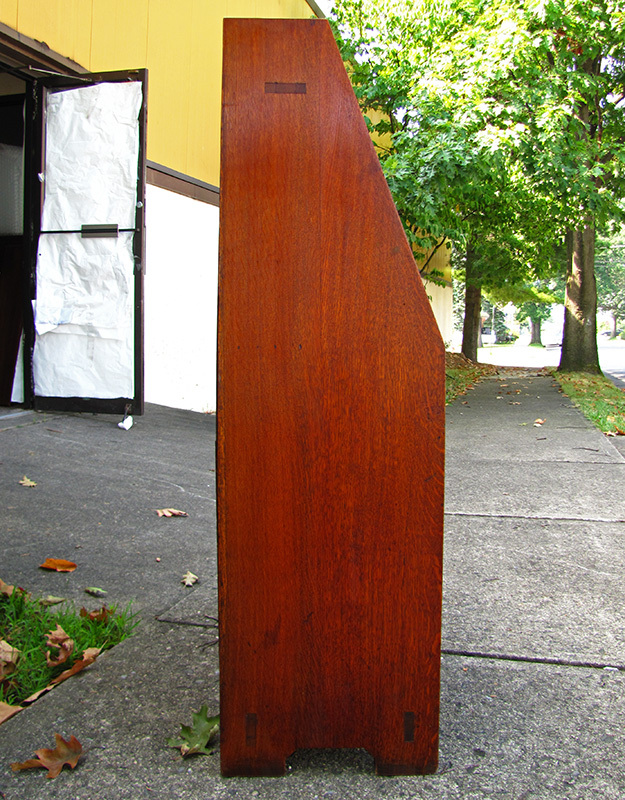 There are flush through tenons at the top and bottom of the sides and there is a great chamfered back. 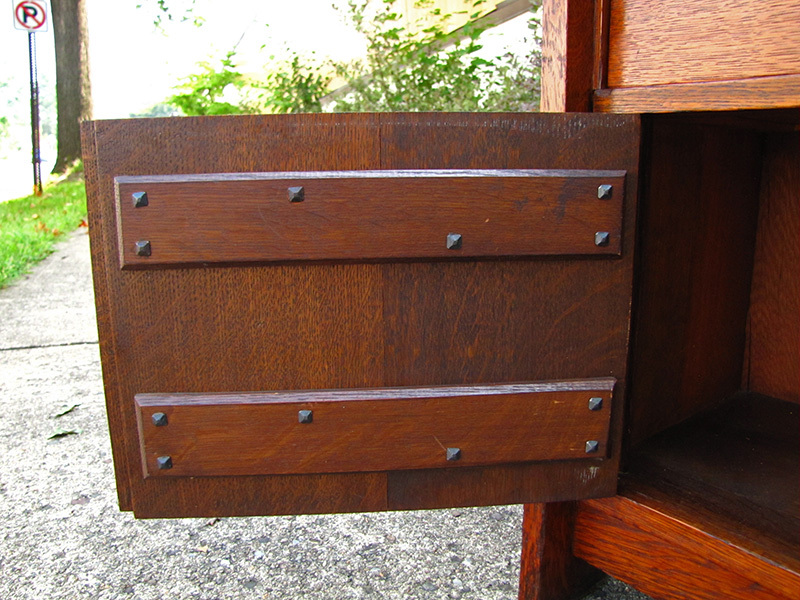 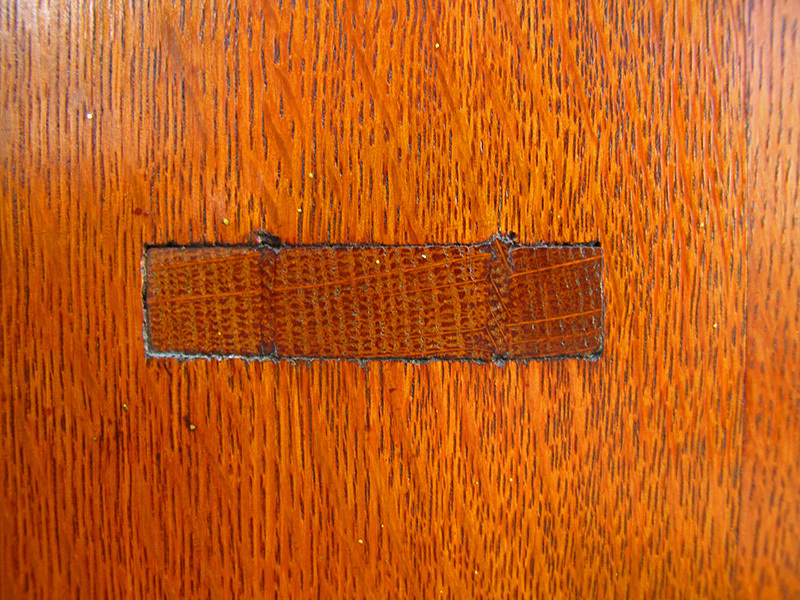 The interior is complete except for the lock on the interior drawer has been removed. 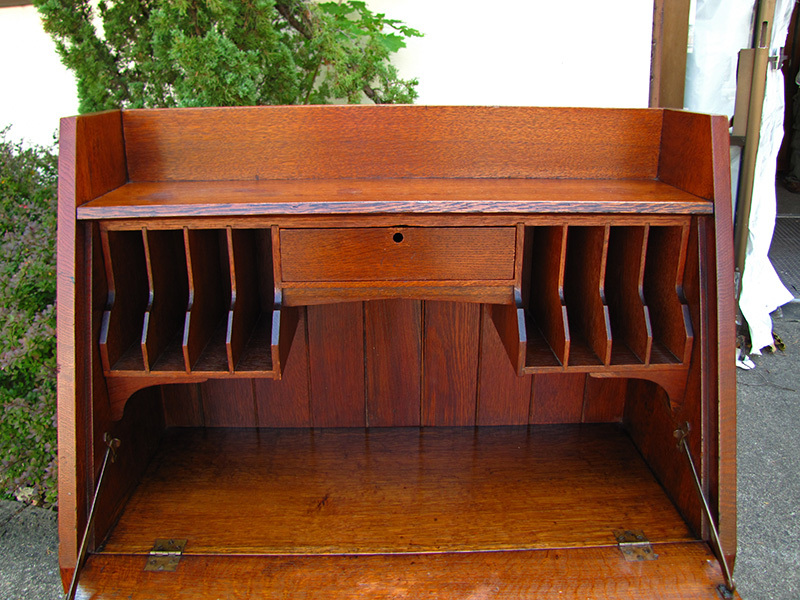 This desk is in pristine condition. 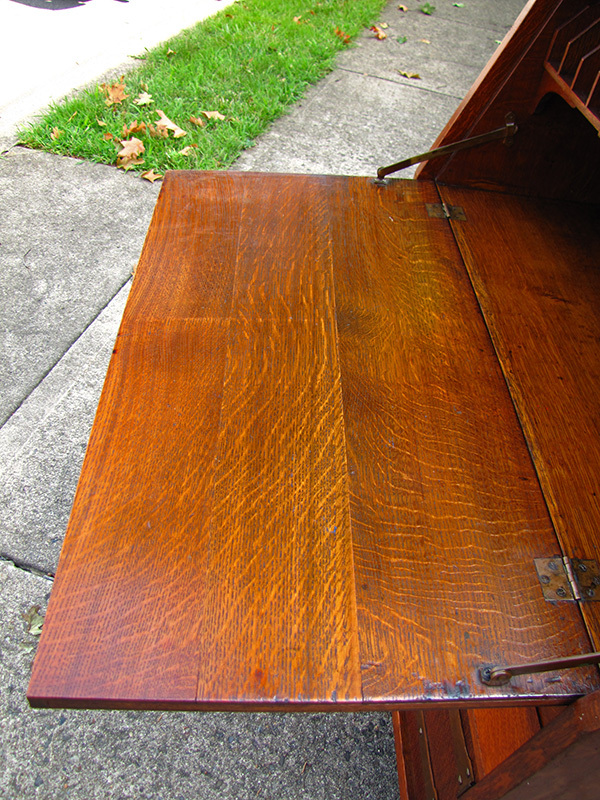 Great original finish and patina from 1902. 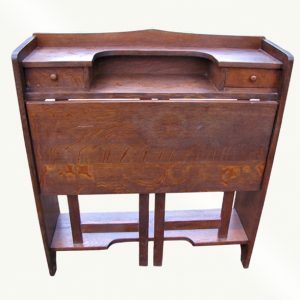 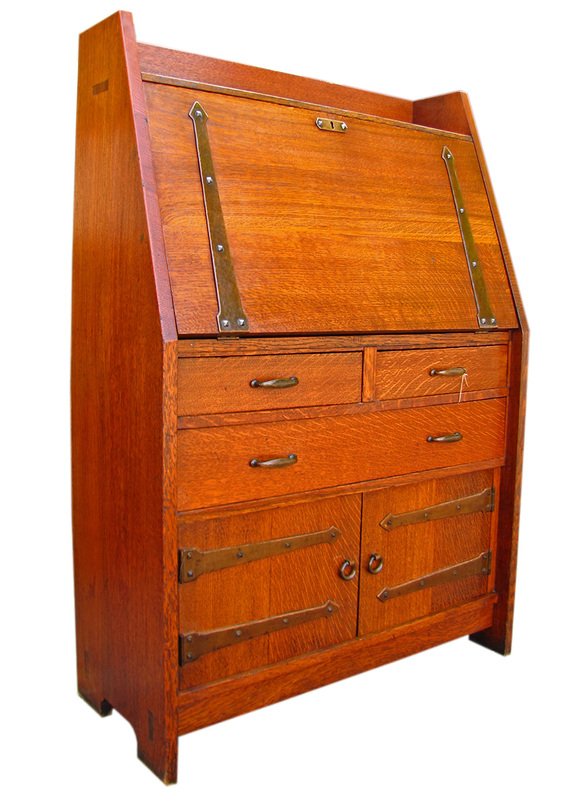 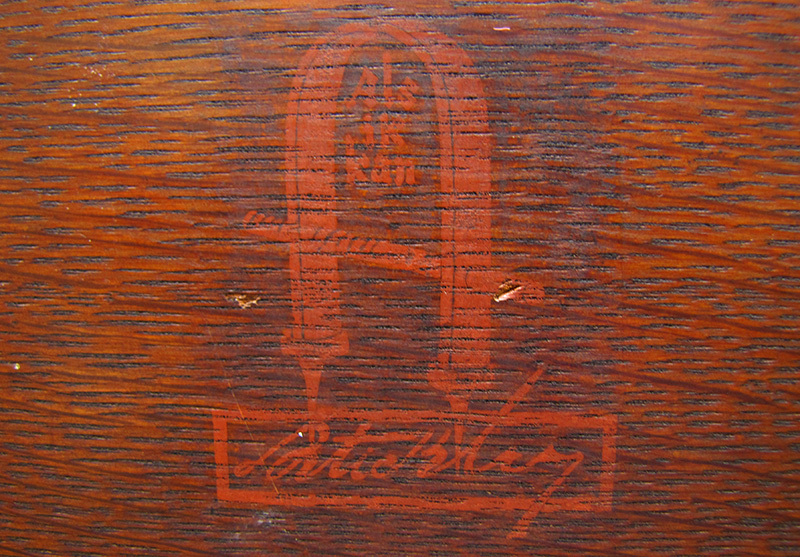 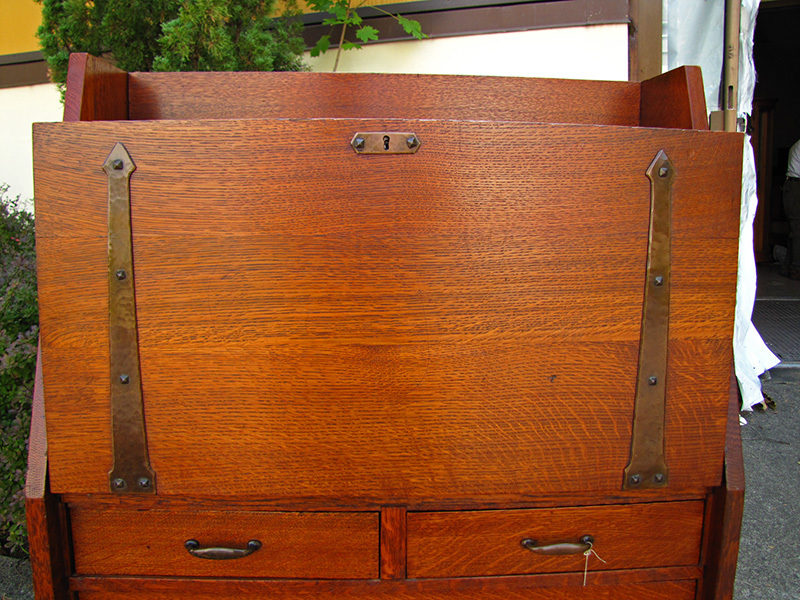 The desk is signed with a large early decal from 1901 to 1902 and is model #550. 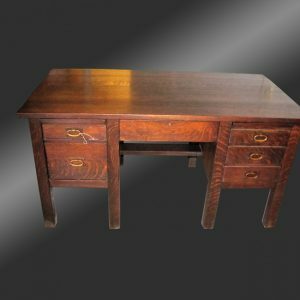 We also have the exact the same GUS STICKLEY model from a later year for ONE HALF or for less in price and also in perfect shape. 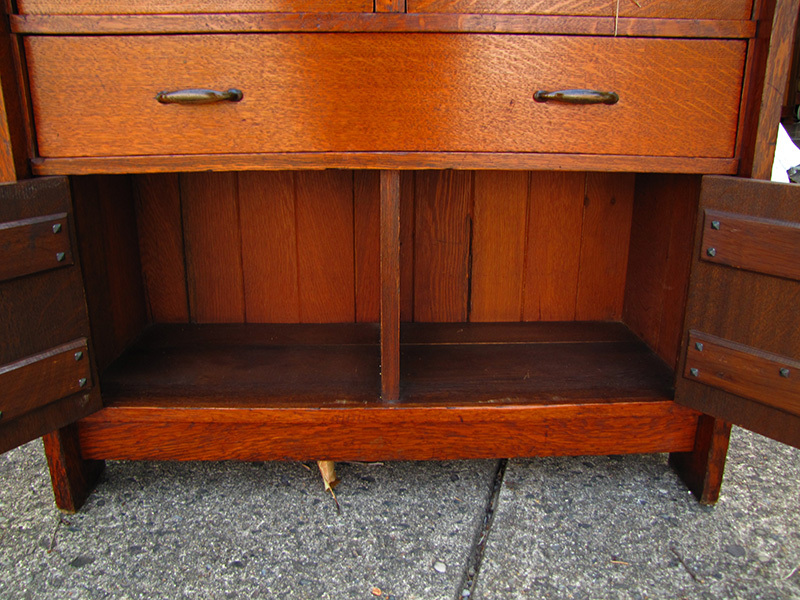 This a rare and collectible piece in unusually good condition.